Why pick the ultrasonic diffuser instead of the others? Many years before modern methods of healing and sustaining beauty were discovered, two ancient civilizations found ways of drawing valuable extracts from plants. The Egyptians led the way by devising a way of getting valuable essence from plants. After them came the Greeks who invented the distillation process. It is through these discoveries, both of which are more than 2,000 old, that people all over the world today enjoy the benefits of essential oils aromatherapy. A good solution for insomnia whereby they help to induce deep sleep. They help in reducing tension, anxiety, and depression by soothing the nervous system. They can help keep away insects. They contribute to improving the circulation of blood in the body. They are ideal for people with respiratory problems. They can improve digestion by enhancing the intestinal mobility of food. To obtain all these benefits, one has to have a way of diffusing the essential oils and absorbing them into the body. The best way of doing this is by using a diffuser. There are four main types of diffusers. They are heat diffusers, evaporative diffusers, cold air diffusers, and finally the ultrasonic diffusers. 4 Why pick the ultrasonic diffuser instead of the others? Though there are different varieties of diffusers available in the markets today, the ultrasonic diffuser is most popular and widely for dispensing essential oils by most users of natural products. This view is mainly derived from the way these diffusers operate and their unique benefits in comparison to the other diffusers. The oil particles release natural ozone that makes it possible for them to improve and freshen the quality of the air. Depending on the length of time that the diffuser runs, the particles can linger in the air for several hours before they disappear. 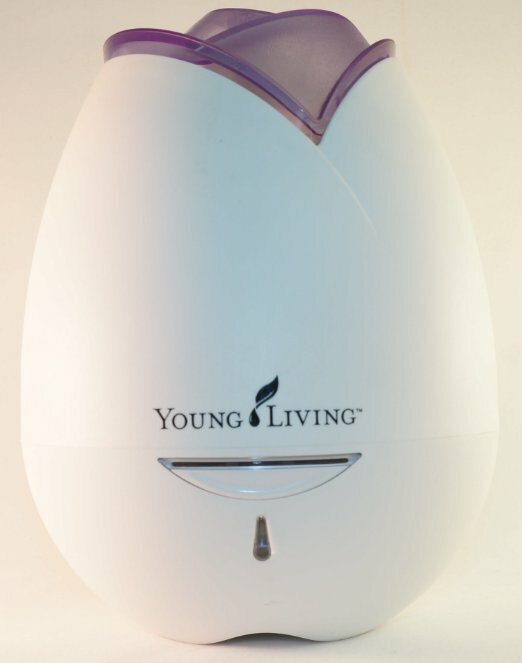 To appreciate the unique ability of the ultrasonic diffuser, it is only reasonable to understand how the other three diffusers operate in dispensing essential oils. This diffuser uses a jet of air over a tube that goes into an oil-holding container. This creates a vacuum on top of the tube forcing the oil to rise. The oil is then blown into the room by the same stream of air thus creating a mist. This method can diffuse oil very quickly, and the diffuser can only run for a short time before the oil is exhausted. To avoid this, the diffuser is generally set to shut down after a short while. This diffuser can be noisy and messy making it a bit hard to clean. This diffuser dispenses the oil by the use of heat. Once the oil is heated, it rises and spreads into the air. While this method can help create a strong aroma in the room, it can easily change the chemical composition of the essential oil. It also dispenses oil quite fast in comparison to the ultrasonic diffuser. This method uses a very basic approach to dispense the essential oil. In some cases, the oil is soaked into a filter or a pad on a fan. As the fan rotates, the oil evaporates and gets released into the air. In other cases, the pad is just exposed to the air, and the aroma is naturally absorbed into the air. The challenge with this method is that the heavier components of the essential oils often remain on the diffuser while the lighter ones evaporate easily. This means that the oil released may switch between too light and too strong without being able to control it. Small Amounts Work Effectively – While diffusers like the Cold Air diffusers may release significant amounts of aromas within a short time, the ultrasonic diffuser produces little amounts that can last for hours in the air. Purifies the Air – When the vapor is released into the air, it creates a purifying effect and can deodorize it. This makes it less prone to components that may cause asthma, hay fever, allergies, or other respiratory problems. Has a Humidifying Effect – Ultrasonic diffusers are ideal for dry weathers when the air is dry or in winter when heat sources can easily cause humidity in the air to dry up. Promotes Beneficial Ions – The vibrations caused by the frequencies create negative ions, which when combined with serotonin in the brain, help to reduce anxiety, stress, and fatigue. Can Cover a Large Area – The quick process of diffusion can humidify and saturate a large room or spaces rapidly, perfect for larger offices or living rooms. Cost Efficient – Compared to the other humidifiers, the ultrasonic humidifier is less expensive as it consumes less energy. 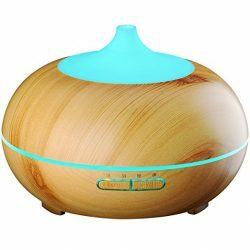 Above the benefits that an ultrasonic diffuser may have over other diffusers, there are many other reasons why you may want to have it in your house or any other space. It helps in eliminating bad odors in your living or working space. It helps purify the air and make your space a healthy environment to live or work in. A room that has an essential oil aroma facilitates relaxation and calming of the body. This is in addition to all the other benefits of essential oils mentioned above. The recommended way of using the diffuser is to run it 15 to 30 minutes a day for the first few days. This will help you familiarize yourself with how quickly the scents spread, and how strong the smell is, depending how much oil you use. You can always use your diffuser more or less, based on your mood or needs. If you’re using quality essential oils, you can use your diffuser 24 hours a day if called for.